With latest extreme weather patterns, many at a recent Babylon hearing voiced concerns over storm preparedness. With temperatures jumping all over the place over the past couple weeks, there are concerns in the town of Babylon that debris from Hurricane Sandy might be an issue with such extreme temperature/weather changes. There’s also a tremendous concern over whether or not more violent storms are on the horizon. 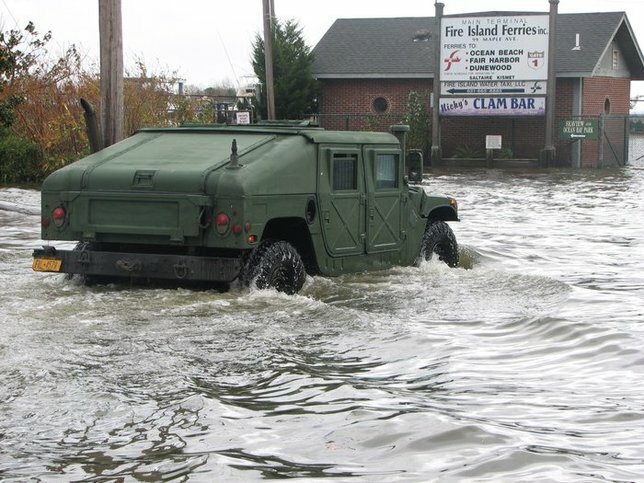 Dorian Dale, Suffolk County’s director of sustainability stated “At this point in time, we are all first responders.” The issue as to whether additional funds should be procured for the rebuilding and stemming of rising tides in the Sandy-stricken Babylon area are of primary concern to residents. While there was a swift response in the wake of Hurricane Sandy to provide resources to those who needed them, many are concerned that a second storm might do irreparable damage. One of the major concerns is of storm debris potentially finding its way back ashore should another powerful storm hit. Oil slicks, ash and other environmental hazards are also concerns. One proposal was to use FEMA money to elevate sewage treatment facilities so that water and land in the surrounding area does not get polluted. Whatever the case may be, action most certainly seems required to protect Babylon from another disastrous storm. Subject: LongIsland.com - Your Name sent you Article details of "Many At Babylon Hearing Voice Concern Over Sandy Debris"